The photograph is well returned and contrasts, photo very pleasant and quite good, cheer! Another great winter detail shot. Love that soft, colorful background. Wow, what a great frost macro! What beautiful shades of blue enhanced by the subtle lighting. It's a lovely winter shot. Such a gorgeous delicate scene--compliments! 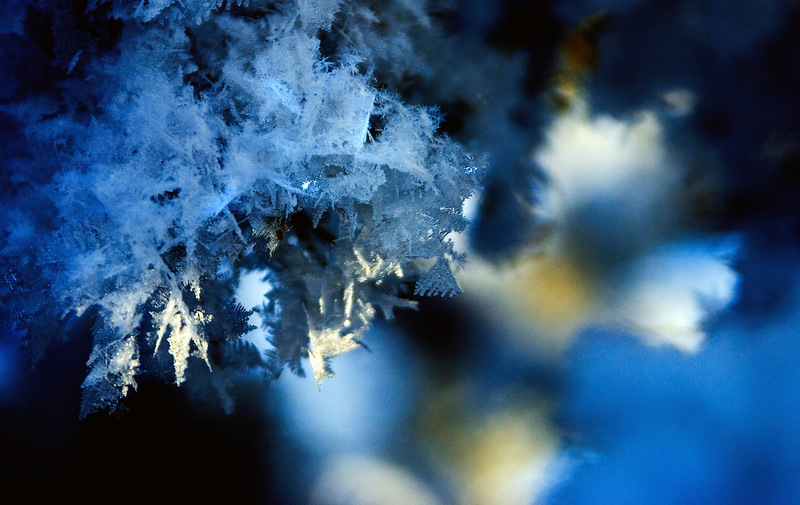 Such a remarkable image of winter in miniature, the blue/gold colors, the fine textures in the details of the crystals. Brilliant. WOW! wonderful details and tones! Fantastic color, detail, and DoF. WOW Andrey...this one is really amazing! wonderful macro of the snow. love the detail.